Kristof is some kind of freak and he’s being attacked by wolves. She was god knows where with god knows who. She could be killed out here and no one would know how to find her body. Her gaze shifted to the cockpit door. They could kill her. She scrambled to the back of the plane and flung open the closet door. On the top shelf was the metal box Kristof had told her about. Grabbing it, she pulled the box down. The handle slipped in her sweaty palms and hit the floor with a crash. The contents spilled at her feet. She spotted the flare gun immediately. Grabbing it, she ran back to her seat by the window and aimed the gun at the cockpit door. While she waited for the pilots to come out, she continued to watch the fighting below. One of the wolves was down, leaving Kristof to fight the other two. She peered at the cockpit door. Still shut. Then back to Kristof. One of the others wolves was now limping badly. Kristof snarled and grabbed the uninjured wolf by the neck and shook him. The wolf went limp and appeared to be more like a rag doll than anything else. Kristof stopped and opened his mouth. The wolf he held there fell to the ground in a lump. The only wolf left stood his ground. Both he and Kristof growled and circled each other until, finally, the injured wolf seemed to realize this was a losing fight and scampered off into the darkness. Standing alone, Kristof let out a long howl at the night. Trudy pressed her face to the glass and looked left to right, trying to see if she spotted any more of the other wolves. Kristof ran off, to where she couldn’t see. The thought ripped through her mind. Then an instant later, another thought eased the first. He’d never leave me. I belong to him. She’d no time to pick apart the last thought because, on the next blink, Kristof—the wolf—was standing outside of her window—watching her. She knew it was him and not some other wolf, she felt he was hers. Their eyes locked. 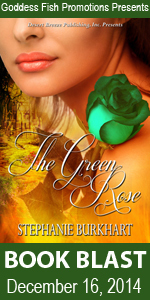 A part of her wanted to shrink away under his stare, but the other…wanted to claim him. The cockpit door creaked open and the pilot peered at her. Yelping she raised her gun and aimed. Screaming, he shut the door before she could fire off a shot. “Come out here and I’ll kill you! Do you see what happened to your buddies?” Her hands shook as she aimed the gun. She was going to die. There was a man-wolf killer outside and a pilot-kidnapper in here. 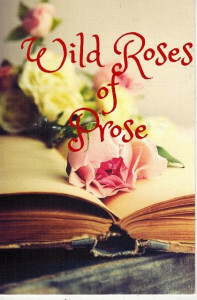 Another glance outside and Kristof stood, as a man, watching her. A naked man. A wonderfully naked man. Was she supposed to let him back in? He hadn’t said that. She chewed on her lower lip, waiting for an answer she couldn’t think of. If she opened the door would he attack her? Was he a rabid beast who couldn’t control himself? Should she let him back in? “Are the pilots still alive?” he asked. Her gaze shot back to the cockpit. “Yes. But not for long,” she yelled, loud enough for the pilots to hear. “If he kills me I’m going to be so pissed,” she mumbled to herself. Soon, I should be receiving galleys for my new book, a fantasy romance titled Love for Sale, about a sentient android, indistinguishable from human. I don’t yet have a cover but here’s an image I have sent the cover department, hoping they will use it. If not or if so, it goes in a book video! Isn’t he handsome? He could bring me flowers anytime. Stephanie will be awarding $25 Amazon GC to a randomly drawn winner via rafflecopter during the tour. Racing forward, he spotted her near Tapin’s tents surrounded by three beasts. Tall and slender, she possessed a strong, wild beauty he found intriguing. Long chestnut brown hair flowed down her back. Her eyes were golden yellow with obsidian irises. She’d been bonded! Only the noble bonded. Her high, exotic cheekbones and patrician features were steeled in courage and determination. The primal urge to mate with her made his heart pound in his chest. A bird screeched. A wyldebeast craned its neck upward and the descending falcon slashed its talons over the creature’s face, spraying blood. “Well done, Hiro!” exclaimed the woman. Ivánstan’s dragon, now overhead, shot a blast of flame from his mouth, scorching the fur of an advancing beast. The creature collapsed and rolled over, attempting to use the ground to extinguish the flames on its body. The remaining wyldebeast raised his hand, its fingernails moist, poised to strike the noblewoman. Ivánstan lunged forward and sliced off the creature’s wrist just inches in front of her face. The beast howled in pain and spun to face Ivánstan. Draco latched its thorny claws into the creature’s shoulders, lifting it into the air. 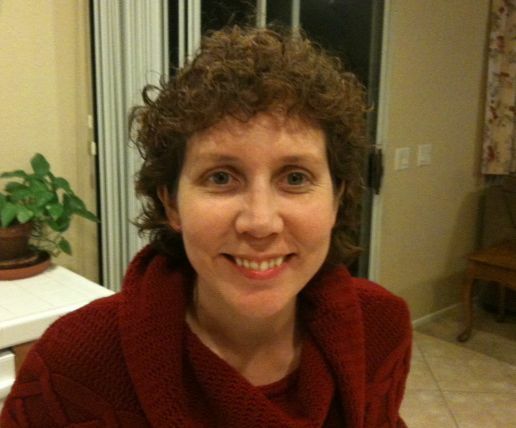 Stephanie Burkhart is a 911 dispatcher for LAPD. She was born and raised in Manchester, New Hampshire. She served 11 years in the US Army and currently calls Castaic, California her home. Stephanie was married in Denmark in 1991 and has two young sons. She adores chocolate, is addicted to coffee and enjoys early morning walks. She’s also an assistant den leader for her son’s Cub Scout den and is a Boy Scout mom. 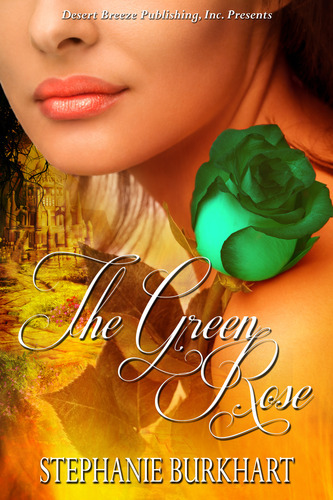 She writes paranormal, contemporary, and steampunk romance and has two children’s books published with 4RV Publishing. The sun burned a dull orange hue into the hazy gulf horizon as the Illustro finally slowed to a drift. Leaning against the rail next to Drake, Nick could see nothing but green water in all directions, a seductive illusion of solitude. In truth, the Iranian coast lay less than fifty miles off the port bow, far too close for his comfort. A soft whirring drifted up from below. Down at the waterline, he saw a small section of seawater bubbling and frothing against the hull like a hot spring. “What’s that?” asked Drake, following his gaze. The three of them abandoned the warm glow of the Arabian sunset for the cold fluorescent light of the ship’s main lab. White powder-coated cabinets and counters stretched the full length of the room, except for the forward wall, where the Triple Seven’s lead engineer labored before a wide bank of black computers. Above him, a large LCD monitor displayed a steadily growing mosaic of tiny black and gray squares. “Are we nearing completion?” asked Walker. Dr. Scott Stone looked up from his keyboard and reseated the glasses that had drifted down his sharp nose. “The submersible is covering the final section now, sir. It will complete its run momentarily.” With the last word, a tiny burp escaped his lips. The engineer grimaced and raised a hand to cover his mouth. His face turned green. “How ya doin’, Scott?” asked Drake, perching himself on a stool at the long central table. Stone did not answer. Instead, he stood up from his workstation, stumbled out the portal, and leaned over the rail. “Does he realize there’s another deck below that rail?” asked Nick. They heard Scott let out a heaving belch, followed by a series of sickening splats from the deck below. “I think he just gave ’em back,” said Drake. Nick gazed expectantly at the screen. At first, the picture remained an incomprehensible collage of black and gray photos. Then the hundreds of individual boxes began to move. They shifted, rotated, and adjusted until finally they merged into a single, coherent image: a massive B-2 stealth bomber, the Spirit of Kansas, lying in the silt at the bottom of the Persian Gulf. Looking back at the crisp ROV image, Nick could clearly see the blown hatch where Drake had ejected from the aircraft ten years before. Memories of their first combat mission together came racing back. HUMINT had predicted a meeting between Saddam Hussein and Tariq Irhaab, the leader of al-Qaeda in Iraq. The Triple Seven Chase, then just a test squadron, had the only reconnaissance asset that could get to the target, an experimental stealth jet called Dream Catcher. 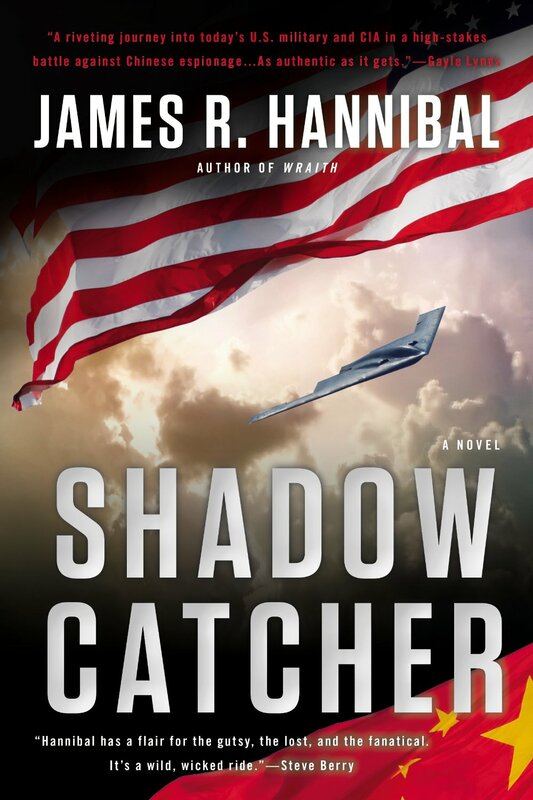 Just hours before the Shock and Awe campaign began, Drake had slipped through the enemy radar fence in the Spirit of Kansas, carrying Nick and Dream Catcher in the B-2’s weapons bay, and Danny Sharp, one of the Dream Catcher’s developers, in his copilot seat. The mission was supposed to be a cakewalk. 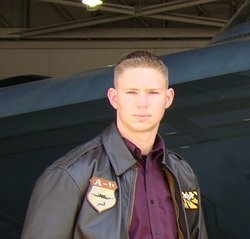 The bay doors jammed half open during deployment, ruining the bomber’s stealth and sending Nick and the Dream Catcher tumbling toward the desert floor. Nick had no choice but to eject, right in the path of a platoon of Republican Guard. Drake could have left him. He should have, to save the B-2. Instead, he came back for his teammate, taking out the platoon’s missile launcher so that a rescue chopper could get in close enough to grab him. Unfortunately, the launcher got off a shot before Drake’s bomb took it down. The last time Nick saw the bomber, it was limping south toward the gulf, trailing smoke and fire. Nick winced. Drake still hadn’t put it all together, that Nick had kept the truth from him almost as long as Walker had. Nick opened his mouth to respond, but after a decade of knowing this day would come, he could not find the words to say. “No,” answered Nick quietly. And he would never know. Danny had died the previous September. This lie was only a small part of the guilt that Nick still harbored in the wake of his death. “If it’s been safe this long, then why recover it now?” asked Drake. Nick placed a hand on his teammate’s shoulder and looked up at the ghostly image of the B-2. A chill swept over him. He thought of the horror that lay beneath: the crushed body of a forgotten patriot and two fully armed five-thousand-pound bombs. 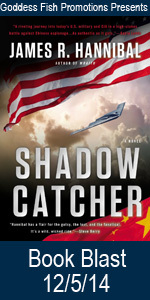 After the towers fall on 9/11, Lieutenant Nick Baron and the rest of the 81st Fighter Squadron are desperate for action. But CENTCOM puts them on the sidelines, leaving the young Warthog pilots restless—and reckless. Then the unthinkable happens. During a high-risk training flight, a rookie wingman slams into the ground. In the darkness that follows, Nick wonders if he will ever learn to trust a wingman again—or even learn to trust himself. He will soon find out. Despite the black mark on his record, Nick’s application to the elite Stealth Wing is approved. A recruiter for a new covert team has taken note of Nick’s unique combination of skills. Suddenly Nick is swept into Operation Cerberus—a top secret mission that will take him from a harrowing flight over a black testing facility to a fight for his life on the Iraqi Dunes.